If this makes a difference, I am left handed. On the pictures of the left, when the hand is spanned out you can see the line of life/fate does not quite hold fort with the line of air. 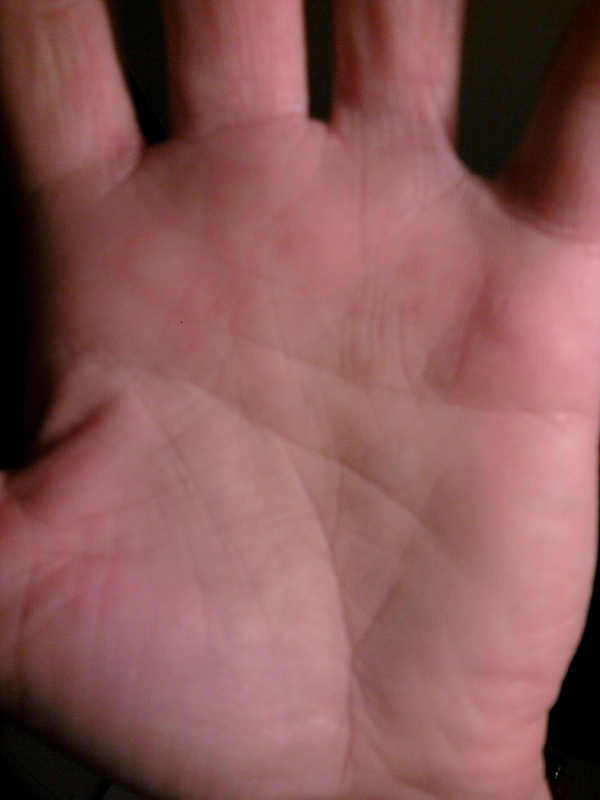 When i relax the hand i can see the line etched vertical over the air line. So when stretched you just see the red line stops before the air line. It is slightly confusing. I've never had a real definition for it and has always perplexed. 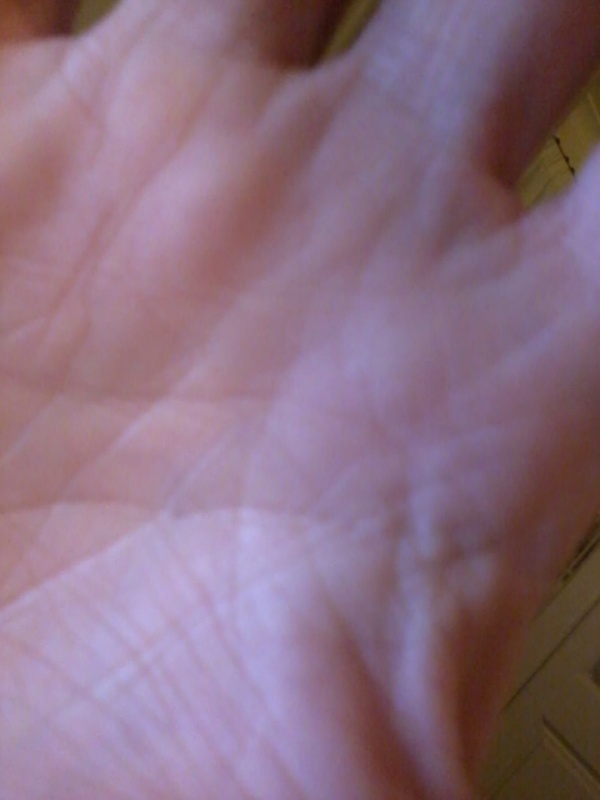 Once we see the clearer images of whole hand we can decide. It's common for life line to be connected to fate line in a way that the life line becomes the fate line,especially when a person has been restricted in their life or independence, but your life line seems to be the fate line line as well, right from the beginning. Very interesting. The quality of the new series of pictures has not improved much; therefore it is impossible for me to present a detailed analysis. However, based on the pictures below I think the inner line is strong enough to call it a life line; and it would become kind of problematic to consider the fate line as the life line... because then a fate line would appear to be missing, etc. 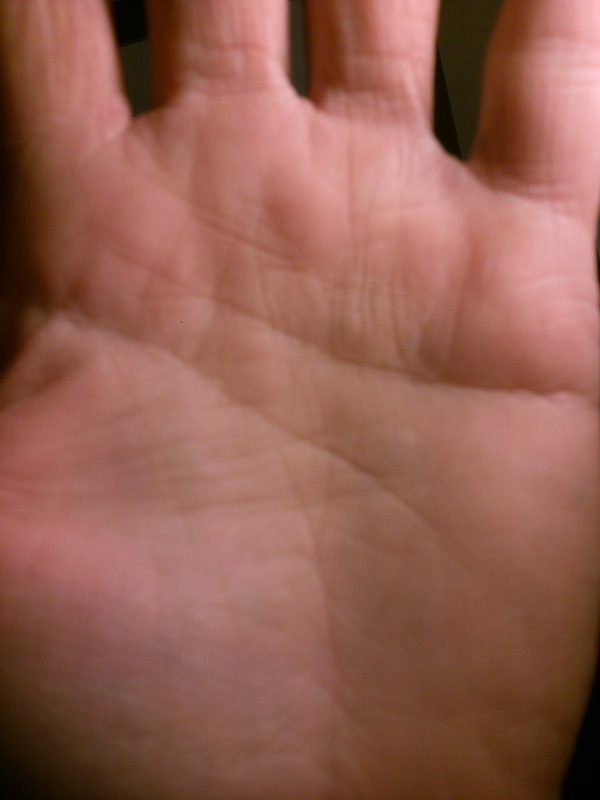 I can add that in general when fate lines manifest towards the radial side (thumb side) of the hand, it is relatively normal to see some features that can be associated with a life line. 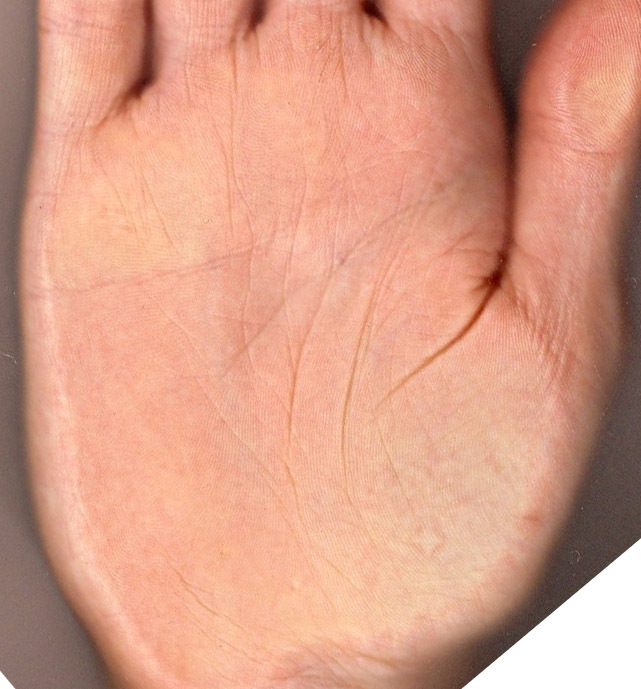 So, basically I think you have a normal fate line + a slighty weak (straight) life line... which is kind of compensated by multiple rather remarkably strong 'ambition lines' (these are the vertical lines manifesting in the index finger palmar zone). Again, sorry... I really need better pictures before I can jump into a more permanent conclusion. 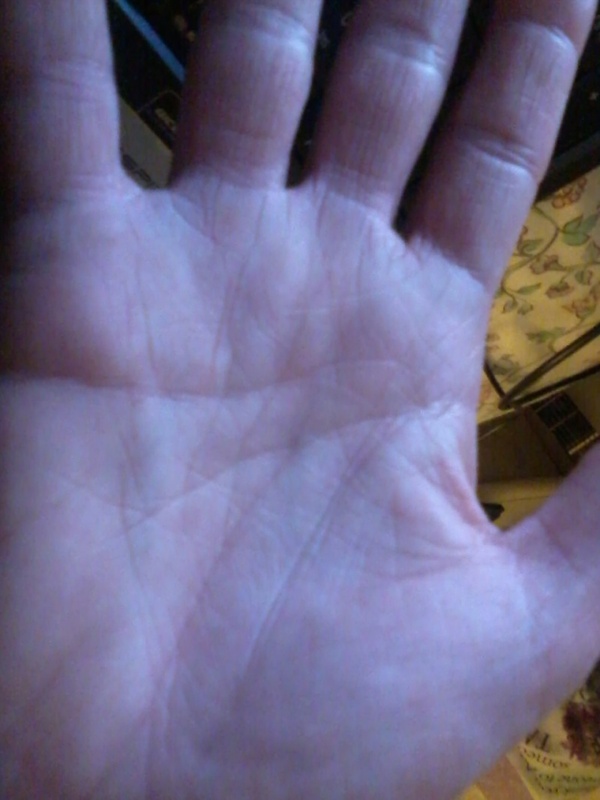 The life line is so close to the thumb its like a mars line. Yes I agree with you Sari. My first impression was that there is no fate line (or, as you said the fate line has become the lifeline). I see only one picture of RH where the inner line looks strong enough to be a lifeline. If the stronger line is your lifeline (& no fate line) then you would be very dependent on family / formative influences, living your life by what they tell you / what is provided for you. If the stronger line is your fate line, then you would feel a lack of stability in your home/family life and rely on work to provide some structure, stability and identity for you. 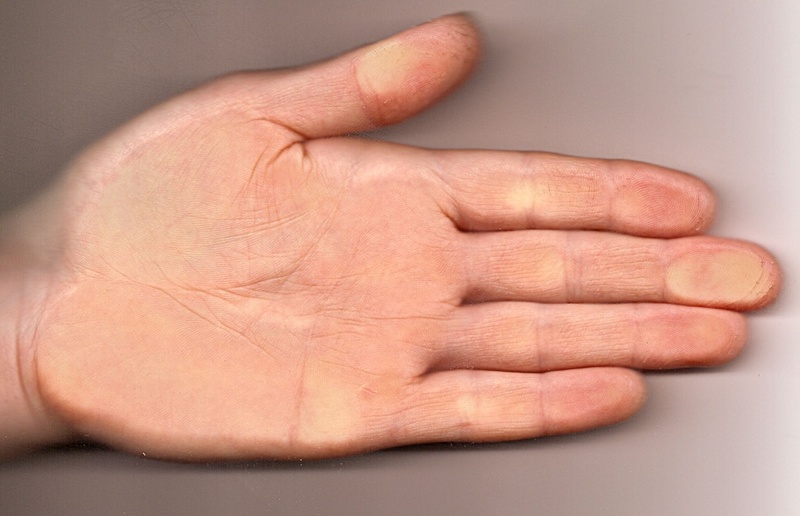 Either of these could present some difficulties for you due to your long ring finger which shows that you want to express yourself in your own way, so you could feel frustrated having to rely on family or work telling you what to do. 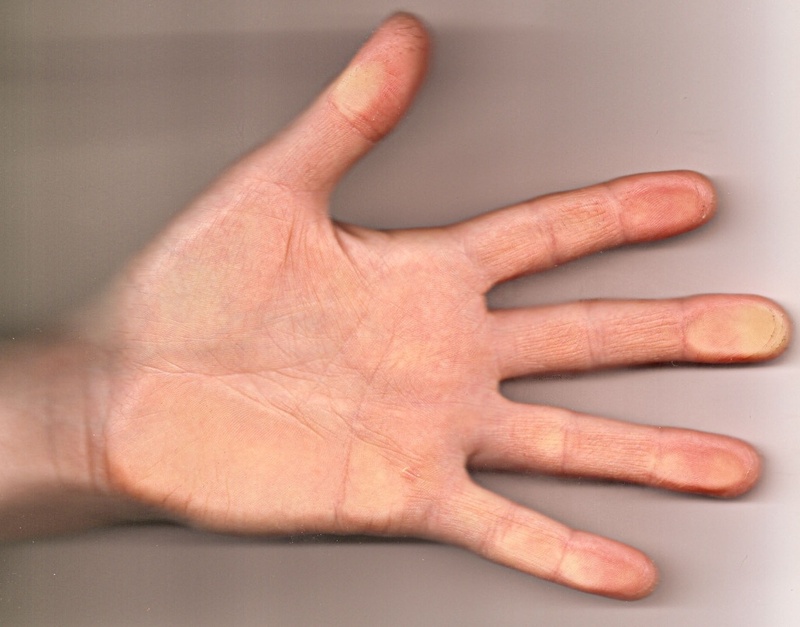 Your index finger suggests you have been under the influence of dominant persons in childhood (or even bullied?). 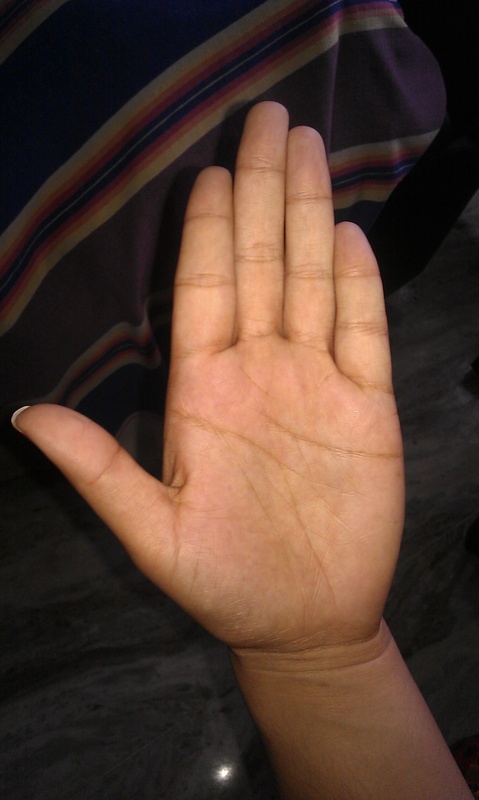 The angle of your thumb looks like you don't feel in control of your life, victim of circumstance. So, whichever line is life or fate, I think you are stuggling to be yourself and imprint your own identity on the world. You have a good long mercury finger - good for communication. I would like to see ink prints of these hands. Or much higher resolution pictures. 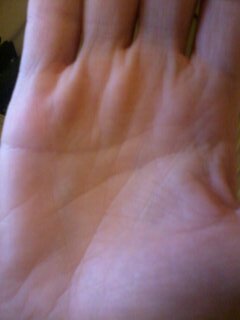 Sari wrote: The life line is so close to the thumb its like a mars line. Yes, my starting point was that the life line has characteristics that can be associated with a mars line; and the fate line has characteristics that can be associated with a life line. That is why I wanted to study the details in both hands, but from the quality of the pictures is for me not good enough to make up my mind. 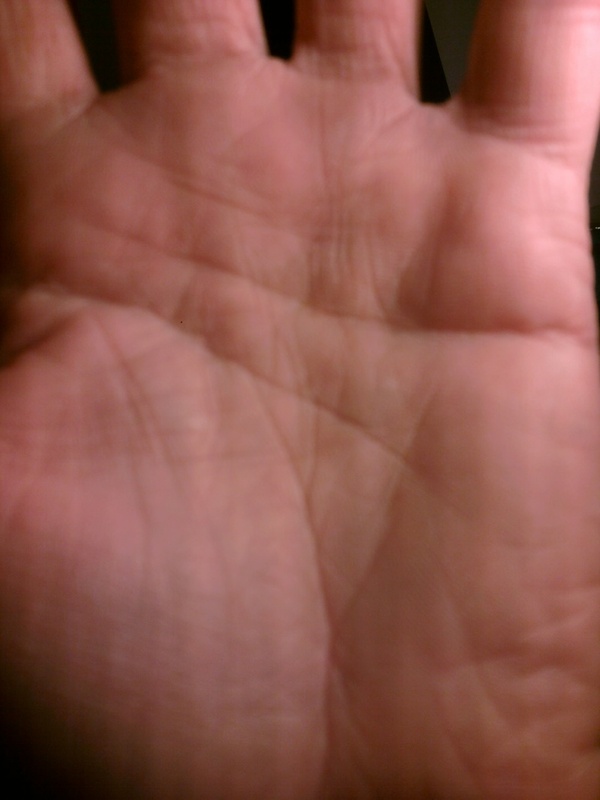 I see elements which provide arguments to argue that both hands have a rather weak inward positioned life line... but one can also decide to focus on other elements and argue that the fate is missing in the lower zone of the palm. PS. 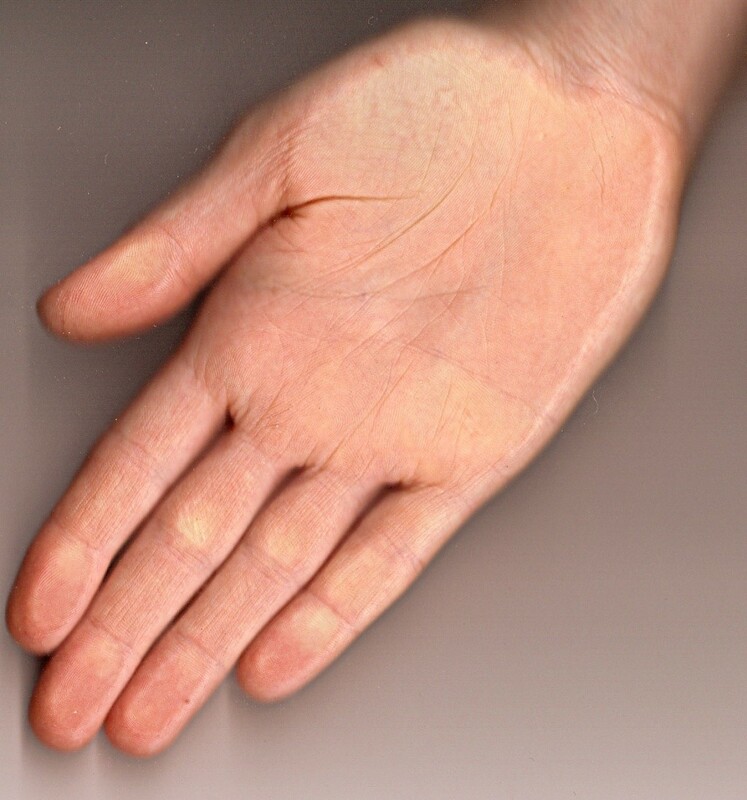 I never make such decisions based on the feedback of the person involved - because any hand feature can be neutralized by other features, and the feedback may not be accurate, etc. etc. Lynn wrote: Yes I agree with you Sari. My first impression was that there is no fate line (or, as you said the fate line has become the lifeline). I see only one picture of RH where the inner line looks strong enough to be a lifeline. I agree with you Lynn regarding the finger shapes etc. I know a young man who literally has no life line or fate line, but only weak pieces of line which appear to be just forming. This young man has not put much effort into being dependent and relied on his parents to do everything for him. Even his schooling suffered from his lack of effort. But I am in contact with him and very keen to see if these lines grow as he matures. Sometimes I think if we are not controlling our own life, we don't have a strong life line, it's guided by fate or another line. Hello all... Thanks for letting me know. I will attempt a print ink version. I have these three prints taken about 6 years ago.... let me know if these are any use. The past can resonate with some responses of dependency and control, and actually not trusting own fate and going for it without outer hindrance. Trusting instincts always is on target. In some sense one feels one has been battling with ones own destiny, understanding it very well from an intuitive and subconsious level, and yet on the practical side, not allowing it to fully activate. Direct focus. At the moment one has no place of abode that is stable. Between places and have been since end of 2010. A little like a tourers lifestyle! Just transitioning to a sacred space, where support is still valid, and yet it is very much an independent space where one is controlling their own which will be very grounding. Being a musician and understanding anything practical and earth bound feeds the soul very well. Doing and dreaming are two factors. But aaaanyhooo, am just really keen to find out what you each conclude to be fate or lifeline. I have my assumptions that I feel my fire line is like my life line more so now than ever. It is just really deciding on whether those inner lines are support lines or loyalty lines etc. 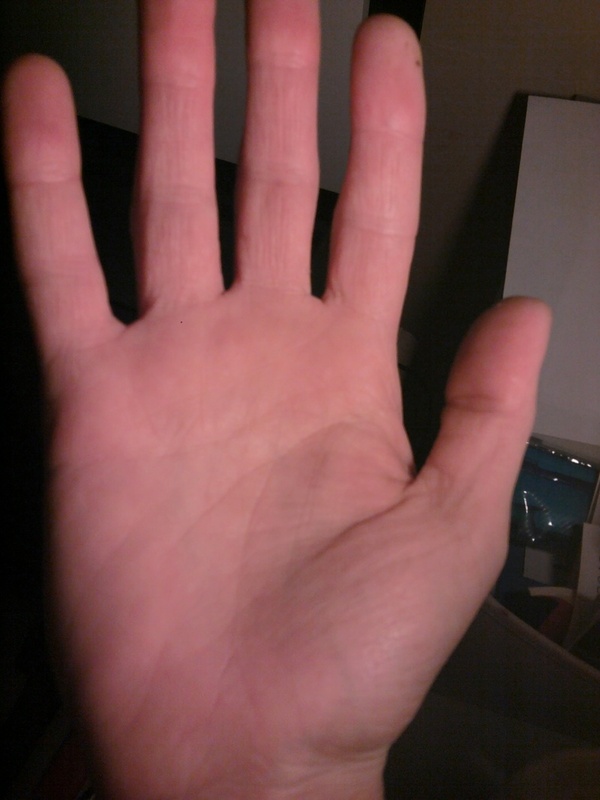 It is good to have outer perspectives on this and also very helpful when looking at other peoples palms. 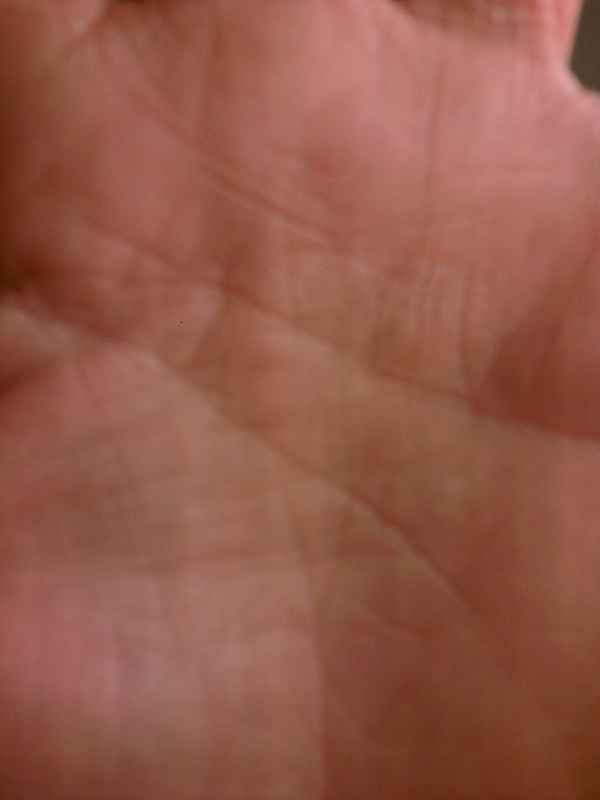 Well, regarding the new picture of your right hand indicates that the width of the life line and the fate line is not as large as some of your earlier photos suggested. 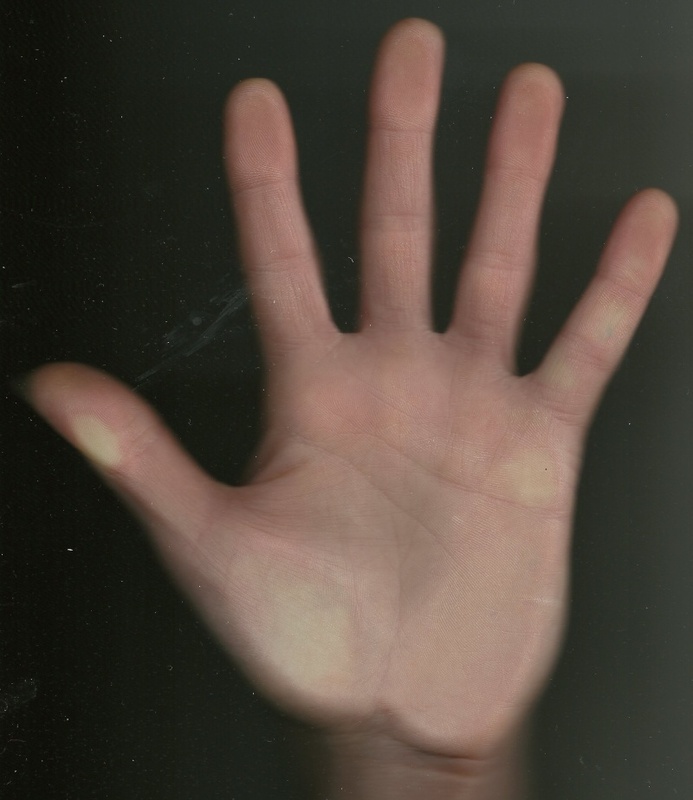 NOTICE: The new handscans confirm that the 'light-factor' was troublesome in most of the earlier presented photos, and therefore I think the hanscans present a more reliable impression of your hands. 1) Regarding your life line, I would prefer to describe your life line as: positioned slightly inward, but it can be described as 'within the typical range of position for a normal life line'. And because it's structure is comparable with the other more outward positioned line... 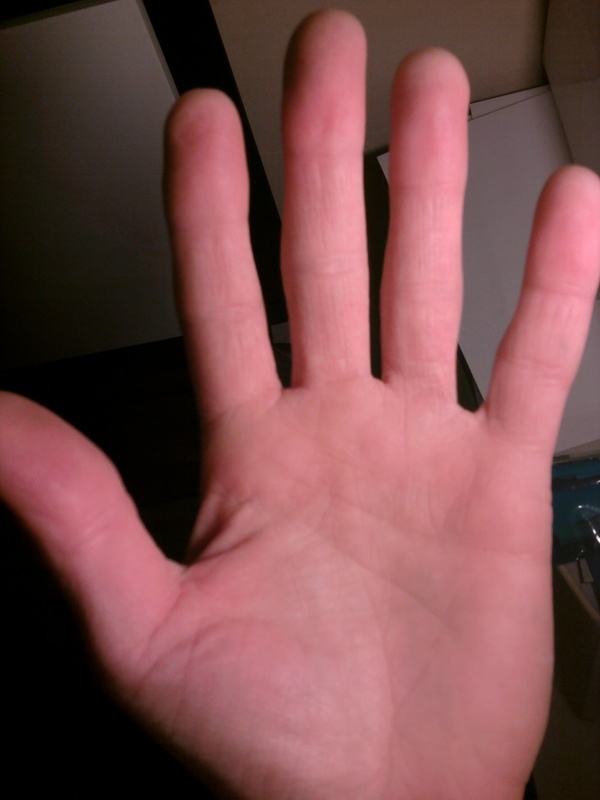 I think it has all characteristics of a major palmar crease. 2) Regarding your fate line, I observe a (partial) fusion with the head line... though one could also argue that the fate line is partly missing. So that is another interesting topic for discussion... which we had not spotted yet from the earlier photos - I would now call this the most 'ambiguous' aspect of the right hand! PS. With the above analysis in mind, it becomes much easier to assess the left hand; the major difference is that in the left hand the life line is much weaker than in the right hand... which still makes it look like an ambiguous constellation. But in the left hand it is much more clearly visible how the head line and fate line interact. For that hand I would not prefer (it's a choice that leaves some open ends for discussion, I realize) to call the fate line a life line... because I think that IF the life line had manifested stronger, we would not have started talking about the option of a double life line - as the I observe that the location, structure and path of this fate do not show any features that are more typical for a life line than a fate line... and I think this observation includes multiple arguments to avoid that the presence of certain weak characteristics in one line has consequences for how we assess another major line, etc. 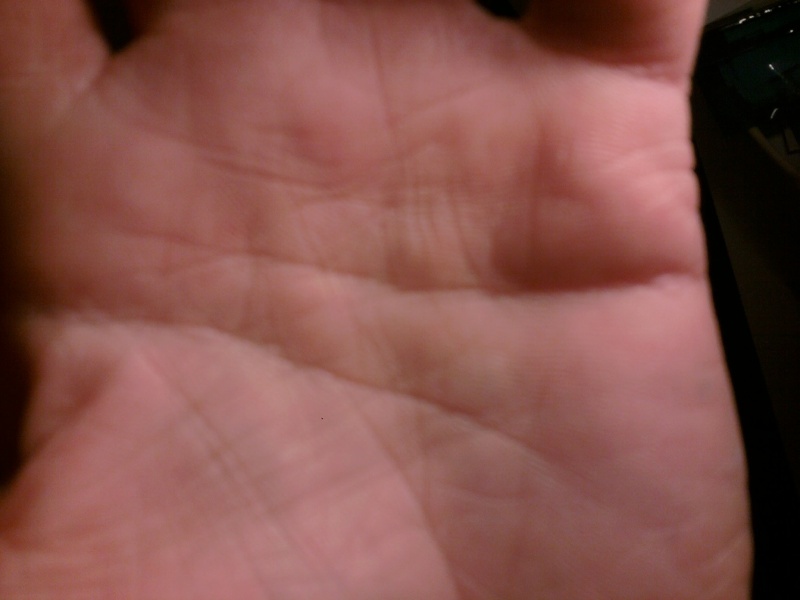 Yveage, I think I have now presented an analysis which results in a consistent outcome for both hands. So, I hope that this will all makes sense to you.